Psychic and master healer Meg Losey shares her alternative healing techniques for mind, body, and spirit in Touching The Light. 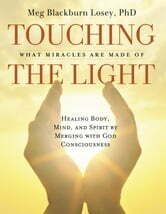 Losey shows how channeled systems of healing stem from our perception, energy, and participation in our own journeys. She shares the techniques that she has learned from her human and etheric teachers that readers can use on themselves and others. How is it that miracles happen? Is spontaneous healing really possible? Why is it that some illnesses dont show up in standard or even specialized medical testing, yet are very real in their effects? Can someone be cosmically sick with no apparent physical cause? How do the people and places around us affect us in our everyday lives? Can we intentionally and effectively create miracles of healing to change lives, or to effect positive outcomes even when situations seem hopeless? How can symbols of light be used to instantly attune someones entire energy system? Meg Blackburn Losey answers these questions and many others in this ground-breaking book. 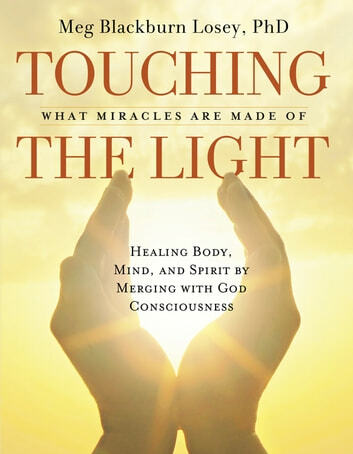 Touching the Light brings the reader into previously unknown worlds of healing and explains not only how energy healing is possible but how it works. It is the quintessential instruction manual for holistic healing in the third dimension and beyond! Soul Identification and Other Goodies….. So I'm God ... Now What?